It was 20th September & it was Saturday. People usually plan parties & hangouts on such Saturdays, but IndiBlogger, this time with Bigrock had planned something different than this mainstream tradition. 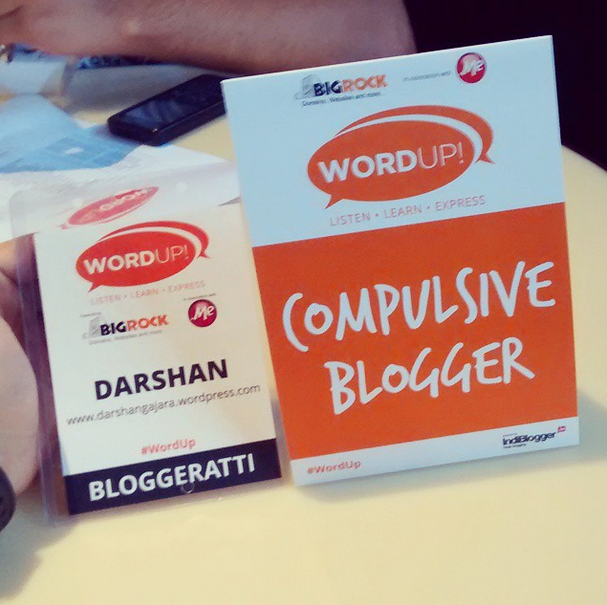 It was named #WordUp, a power packed meet full of amazing Speaker Sessions, Contests, Food, Prizes & of course the welcome song by IndiBlogger‘s very own Band. Anshul Tewari (Blogs at YouthKiAwaaz.com) said to focus on the organic followers. Organic followers don’t come by compulsion, they come to your blog because they like the content you write & share, it’s important to satisfy them on timely basis. Scherezade Shroff (Blogs at fashionalized.com) said to write sponsored articles only after having used the products & to be honest always. The policy of being honest works good here as well. 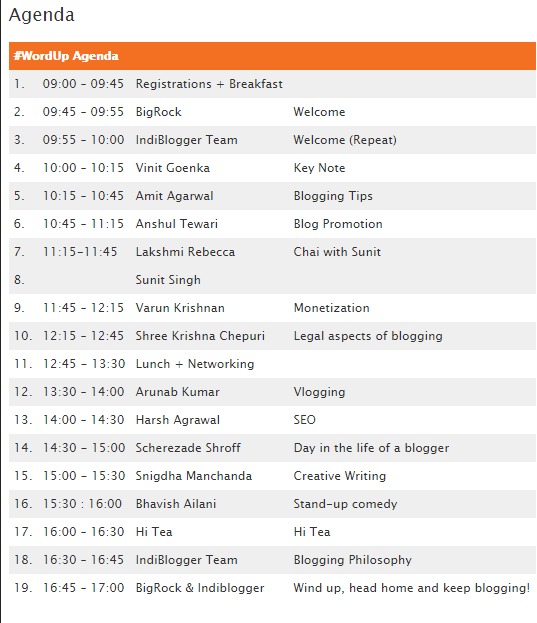 Thanks a ton IndiBlogger, Bigrock & Domain.me for making me a part of this awesome Saturday. Darshan.. I had missed this event .. Thanks for sharing the entire meetup events here. It was worth attending. We enjoyed a lot. What part of the meetup excited you the most?